Fourth of July is only a week away. Declare your independence from a sewing space that just doesn't work! Horn sewing room furniture is made in America, and in honor of the upcoming holiday we're having a sale. What's the deal? 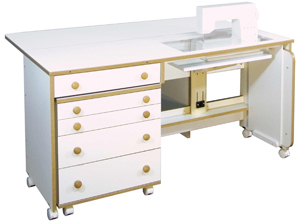 Take 20% off our already reduced prices on any sewing or cutting table made by Horn. It's delivered right to your door and almost all pieces come fully assembled. To get this special price you must order and pay for your furniture on or before Saturday, July 2. Don't miss out! 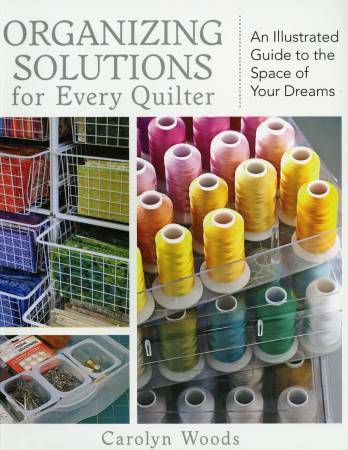 While you're waiting for your new Horn of American furniture to arrive, organize your sewing space using ideas from this new book. It's available at the shop. Based on feedback we received at After Market Review we've ordered a few patterns from BJ Designs. If they prove to be popular we'll bring in more. And it looks like they might be . . . Bernardo and Jersey Girl have already gone home with excited customers. We're working on Papa's Pickup as a shop sample. Look for it on the walls soon. 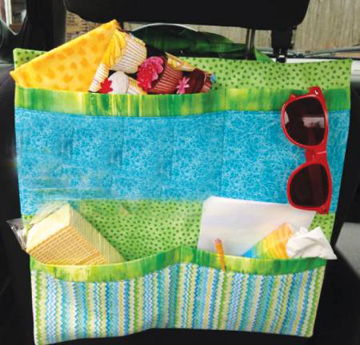 Make this trendy tri-color tote bag in one day using Kraft-Tex. What’s Kraft-Tex? It’s heavy paper that looks, feels, and wears like leather. It sews, cuts, and washes like fabric. Cindy Dahl will teach this class which is free with purchase of the book and supplies. The book includes 27 projects you can make using this amazing new product. Make this cute Car Caddy in our July 7 youth class. It’s designed to hang over the car headrest so the backseat passenger has access to their most important travel necessities – snacks! Youth classes are open to boys and girls ages 8-16. Aimee King will teach this class. This is the #1 best-selling pattern in the sewing world at the moment. 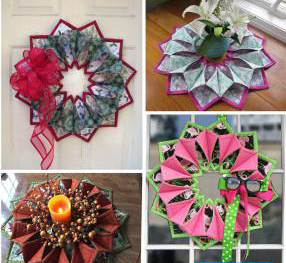 Guest teacher Donna Brace will teach this class where you will complete a beautiful wreath for any holiday (or no holiday at all!) to hang on a door or wall, use as a candle holder, or as a decoration around a candy dish. These would make great gifts. It's hot outside, but it's nice and cool here at Cortez Quilt Company where you can reserve our classroom and sew the day away. Check the class page on our website and if we're not having a class, call to reserve the day you'd like to come and sew. Minimum of four people will hold the space for your group, and best of all - it's FREE. You are also welcome to use one of our BERNINA sewing machines. 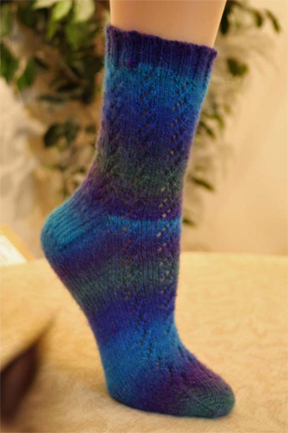 Join us for three Tuesday afternoons for our first sock Knit-A-Long (KAL). Week one you’ll begin this beautiful sock, week two you’ll work your way through the heel, and on week three you’ll finish up with the toe. Anne will be your guide for this free event. Space is limited to six knitters so call today to RSVP. In these two-sessions classes students learn to cast on, knit, purl, increase, decrease, and cast off. At the end of the second session you will begin working on a scarf that you will finish at home. See all knitting/crochet classes here. 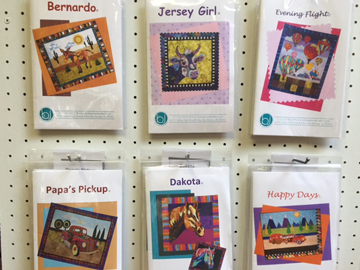 Every Tuesday and Friday – 10 a.m. to 1 p.m.
Join us on Tuesdays and Fridays from 10 a.m. – 1 p.m. for Sit & Stitch. 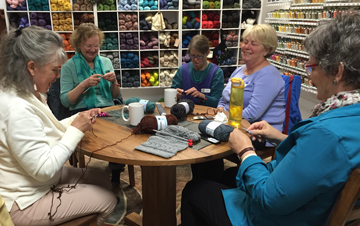 Gather around the table, enjoy a beverage, meet other knitters and crocheters, and work on a project. Sit & Stitch provides inspiration and camaraderie. These sessions are free. Adults only, please. Every Tuesday – 5 p.m. to 8 p.m. 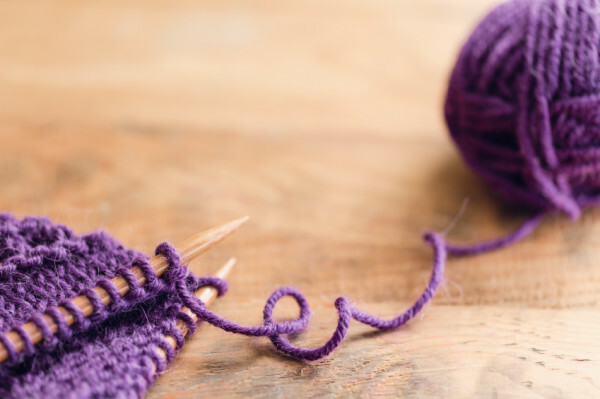 This late afternoon and into-the-early-evening event is a great way to wind down after a busy day and connect with other knitters and crocheters in a relaxed environment. Arrive between 5:00 p.m. and 6:30 p.m. and stitch away until 8 o’clock. If no one is here by 6:30 Sit & Stitch is automatically cancelled, so if you plan to attend make sure you’re here by 6:30. Bring dinner if you’d like (or order from one of the restaurants on Main Street) and a project to work on and enjoy yourself. Evening Sit & Stitch is free. Adults only, please. 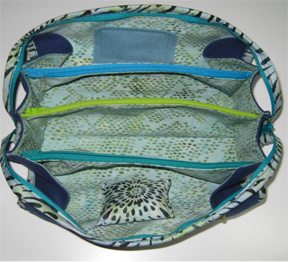 Create the “best sewing case” ever and always have exactly what you need for sewing when traveling or attending class. Loads of compartments organize everything you need and the system stays open for easy access to your tools while sewing. Customize the outside cover with your favorite decorative elements. The bag is show open here, looking into it from the top. 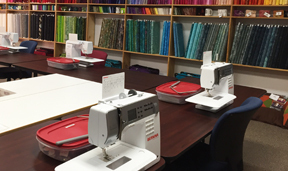 You do NOT need to own a BERNINA to attend this class. Use one of ours! 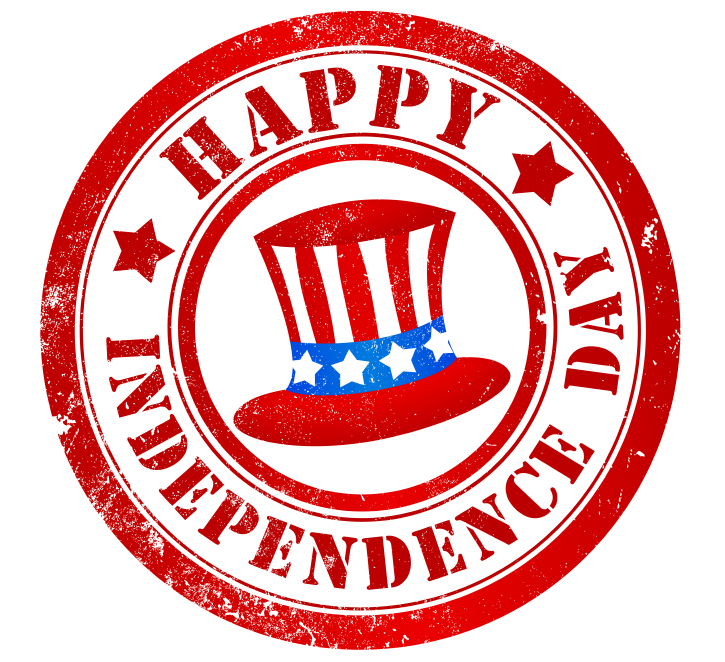 We will be closed on Monday, July 4.
without feeling the necessity to prove someone else wrong."